Shown above: Email headers showing where the message came from. Shown above: Google translation of the email. 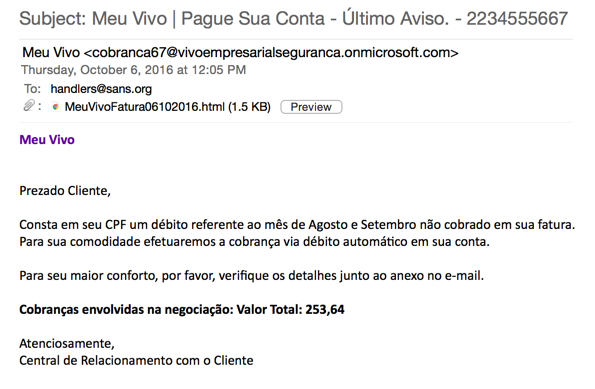 Consta em seu CPF um débito referente ao mês de Agosto e Setembro não cobrado em sua fatura. Para sua comodidade efetuaremos a cobrança via débito automático em sua conta. 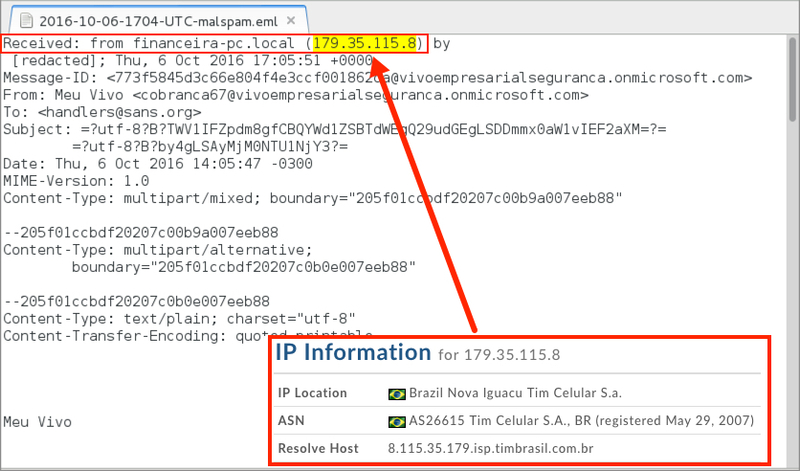 Para seu maior conforto, por favor, verifique os detalhes junto ao anexo no e-mail. 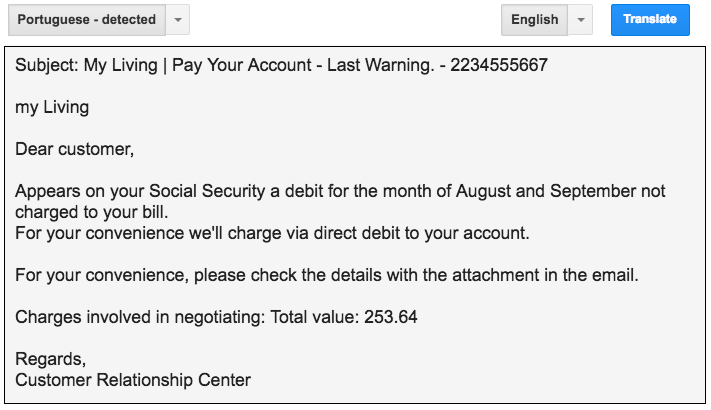 Appears on your Social Security a debit for the month of August and September not charged to your bill. For your convenience we'll charge via direct debit to your account. For your convenience, please check the details with the attachment in the email. Shown above: Email attachment (an HTML file). 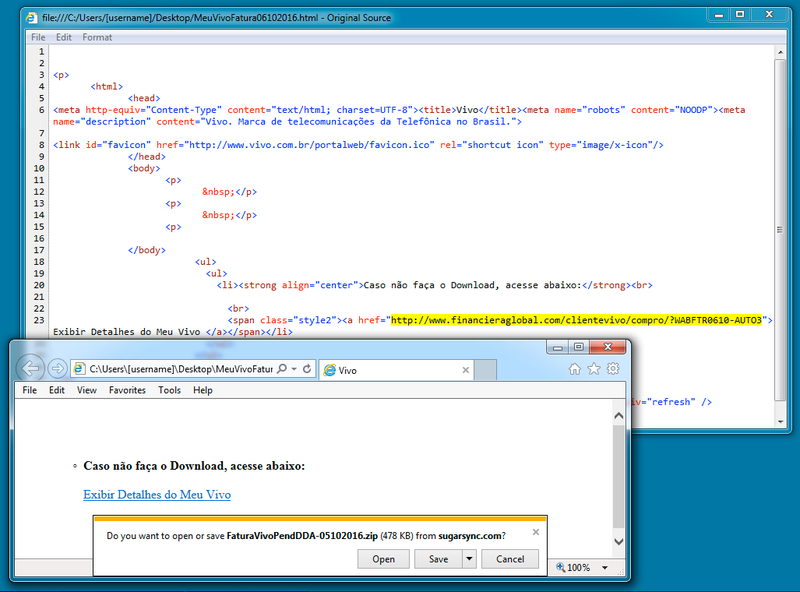 Shown above: Malware downloaded from the HTML email attachment. 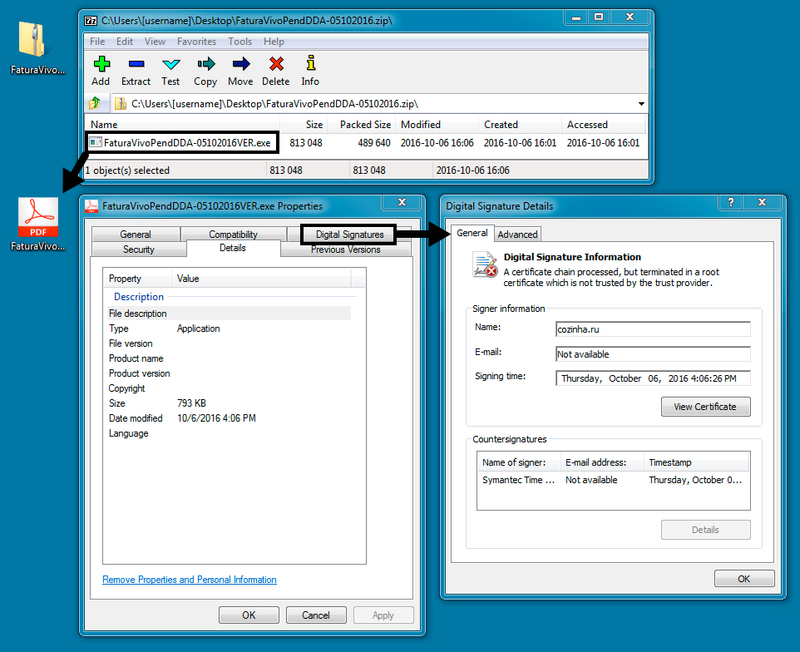 File description: Email attachment, an HTML file with a link to a malicious .zip archive. File description: Malicious .zip archive, downloaded from the HTML email attachment. File description: Malicious .exe file extracted from the .zip archive. Shown above: Unusual user-agent during post-infection callback. Shown above: Hits from the Emerging Threats and ETPRO rulesets using Sguil on Security Onion.